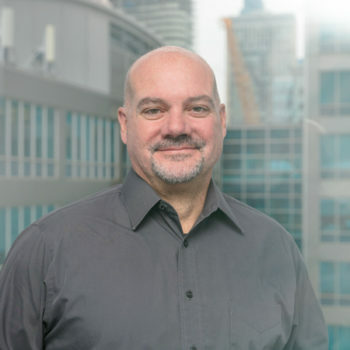 Ron Gerace is responsible for overseeing Exchange Solutions’ global product and marketing strategy, retail practice, and brand presence. He brings extensive leadership experience in omni-channel retail and e-commerce including general management, marketing, merchandising, and sales. Prior to joining Exchange Solutions, Ron held various leadership roles in retail. Ron was part of the launch team for Staples.com. From 1999 to 2006, Staples.com was the second largest online retailer crossing the $1B mark in 2006. Ron, as VP Chief Merchant for Staples.com, was part of an innovative team that delivered online success when there was no playbook. He championed omni-channel solutions such as in-store kiosks, embraced show-rooming for large scale items such as furniture, regionalizing assortments and marketing. Ron then moved to Wayfair Inc. as General Manager. Ron was part of the transition from CSN Stores to Wayfair while focusing on the B2B and B2C businesses. Ron was a key member of the birth of Wayfair, using his skill and experience to assist in supply chain strategy, supplier rationalization and sell-side merchandising. Ron joined Exchange Solutions to lead the retail practice. Ron championed the ES Engage product, bringing the organization’s skills in advanced technology, AI analytics and customer experience together. Driving innovation and operating in uncharted markets have always been Ron’s passion. Ron resides in the Boston area with his wife and three children. He has a Master’s Degree in Business Administration from Bentley University and a Bachelor’s of Science Degree in Chemical Engineering from the University of Massachusetts.